We’re pleased to announce that we’ve completed our second investment this month, backing Jack On Block, another innovative BoP Startup based in Bangalore. Jack On Block is a new age facilities management company that offers handyman and maintenance services for homes, offices, apartment complexes or similar entities. They hire unskilled/semiskilled workers who are mainly from low-income families. Jack On Block puts these workers through technical and soft skills training programs and employs them on a full time basis. Workers are assigned to jobs sourced by the company, thus bringing people who were previously in the informal unorganized sector into the organized sector and ensuring their access to retirement benefits, healthcare and health insurance, and life insurance. 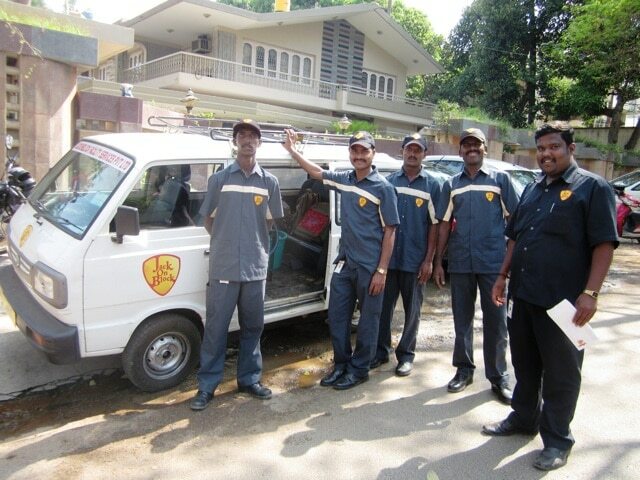 Jack On Block began operations in mid-2012 and has grown rapidly, now servicing over 2,000 customers in Bangalore with a staff of over 90 employees providing high quality plumbing services, electrical repairs, painting and housekeeping services such as vacuuming, kitchen scrubbing etc. On one side, about 93% of India’s workforce is in the informal sector. Too many of these people work in pitiable conditions, lacking predictable income and basic labor standards like a job contract, paid leave, and access to even basic insurance. On the other side urban India is facing a severe shortage of reliable plumbers, electricians, housekeepers and other handyman service providers. We like Jack On Block because it has developed a business model that tackles both these issues effectively and profitably. Jack On Block is positioned in such a way as to benefit both the urban small business and middle and high-income families by engaging India’s unskilled/semiskilled labor force. Not only do they provide workers an opportunity to get stable, well-paid, respectable jobs but also offer the employers a transparent platform to find reliable, skilled manpower at competitive prices. The team at Jack On Block is highly passionate about building a facility management system that address the issue of improved employment among the BoP – base of the economic pyramid – population. Its founders have strong entrepreneurial and managerial background and bring valuable insights from their experience with both startups and scaled business operations. Unitus Capital was the financial advisor and Impact Law Ventures was the legal advisor on this transaction. Along with Unitus Ventures (formerly Unitus Seed Fund), Angel investors Mumbai Angels and Bangalore Angels have also invested in Jack On Block. Mumbai Angels (MA) is a leading Angel Network in India with over 160 members from diverse background providing a unique platform to start-ups and very early stage companies for funding as well as mentoring. Since inception, MA has invested in over 50 companies with 8 partial/full exits and has had follow on round in over 12 companies. MA have made Investments across sectors like IT, Education, Mobile, Healthcare, E-commerce, cloud computing, financial and business services. Key investments of MA include Inmobi, Apalya, Myntra, Canvera, Cnergyis, Reverse Logistics, Screampoint, Serial Innovation etc.